Practice place value by roleplaying surgeons in the classroom! Give kids a number written in expanded form. 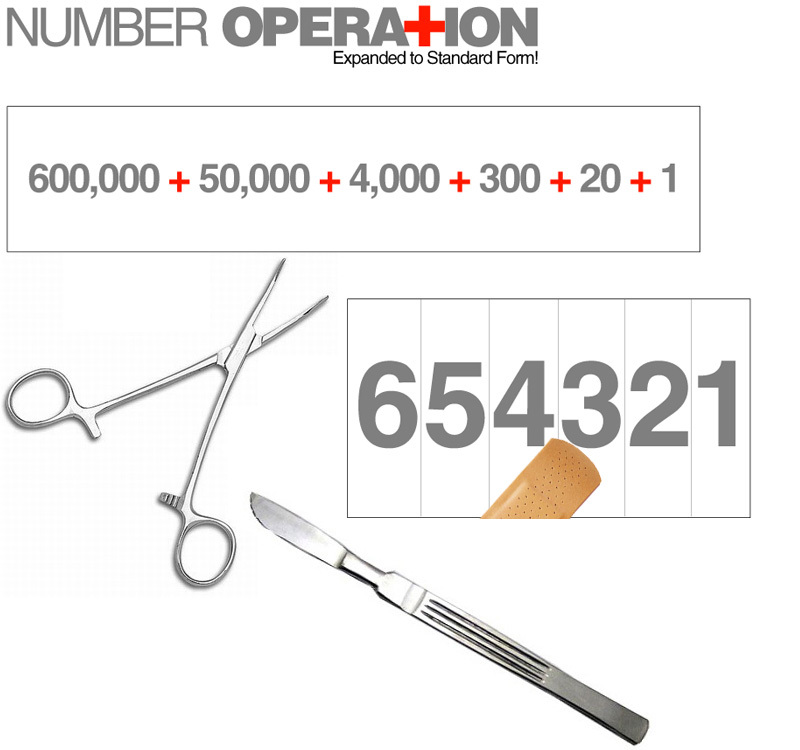 They have to cut it apart and magically transform the number into standard form! They tape the number together and add a band-aid for the comma. If you are working with decimals, use square band-aids for the period.